Watching Tv online is best way when we are not able to access TV. Sometimes we don’t have too much time to watch TV or we are at outside where TV is not available at that moment. Then one of the best technique to watch your favorite program or any important news on you PC or laptop is by using VLC. But the main problem faced by many people is that many site which offers to watch live TV online but some of them are not working. So here is easiest way to watch live TV on vlc player online without any site. By this method you can simply watch live TV on VLC player. Just add channel address and watch your channel at free of cost. How To Watch Live TV On VLC Player ? Firstly Open Your VLC Player. If you don’t Have VLC then download it. Now open VLC Player and select streaming option from the media menu Bar. Select network option and enter the url of the streaming channel. 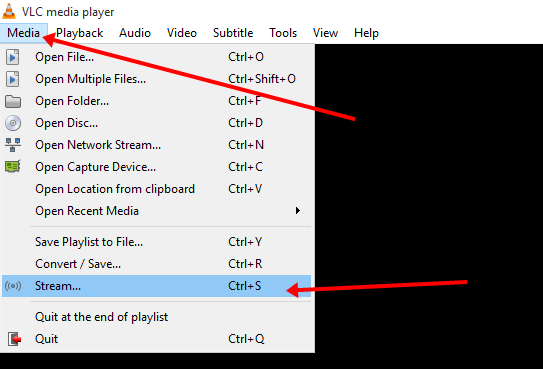 For example if you want to view B4u Music you need to add url rtsp://217.146.95.166:554/playlist/ch12zqcif.3gp in the URL field and then select play option from the stream drop down menu. After Selecting Play Option, the channel will start streaming and you can watch your favorite channels. Here you can see Streaming Of Aaj Tak Channel in below Image. Important Note:- Above given channel links may or may not work because some channel list get change after few days. So i request you to search for latest channel list to search it Google. Simply search on google list of RTSP or SDP channel lists hope you find some new channels. Open Google and search for “latest rtsp channel list” and i hope you find some working channel and enjoy online TV. If have any new channel or want to suggest anything must share your comment.